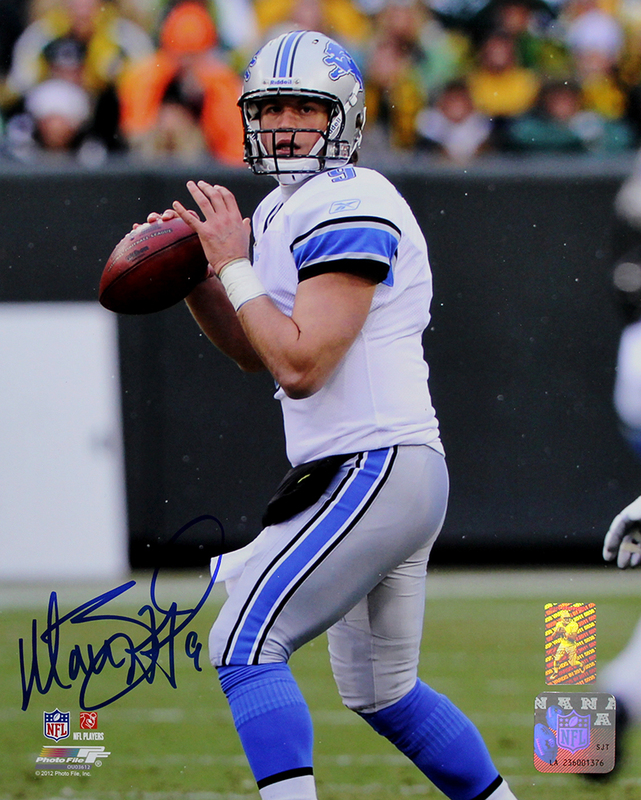 Matthew Stafford has personally hand signed these Detroit Lions 8x10 photos. Each autographed photo includes an individually numbered TRISTAR authentic hologram, as well as a Matthew Stafford authetnicity hologram. Matthew Stafford was drafted by the Detroit Lions first overall in the 2009 NFL Draft. He is the fourth quarterback in NFL history to throw over 5,000 yards in a single season and was the fastest player to reach 20,000 passing yards. Stafford was selected to the 2014 Pro Bowl and named the Offensive MVP. He is the Lions all-time leader in passing touchdowns, attempts, completions, and yards.